Located right behind Chongwenmen New World Shopping Mall, New World Beijing Business Center encompasses a total area of 2700 square meters on the 11th floor of Xinyi Commercial Building. 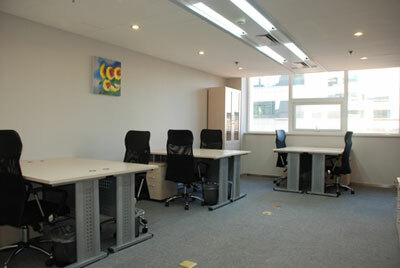 With a wide range of short term and long term office space solutions in a shared infrastructure environment, New World Beijing Business Center has over 50 fully-furnished ready-to-use work spaces for up to 250 people, and four conference/meeting rooms to fulfill your various meeting needs. New World Beijing Business Center （NWBC） is located within New World Commercial Circle (NWCC), a newly developed business area in the southern district of Beijing. 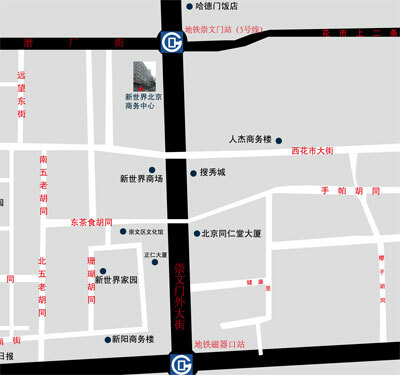 Within a walking distance to Tiananmen Square to the west and the Chang An Avenue to the north, NWBC dominates the landmark position of NWCC in the embracement of shopping malls, star hotels, office buildings, restaurants as well as entertainment facilities and with an easy access to places all over Beijing through the extensive transport network on and underground. ♦ Phone answering and front desk receptionists. 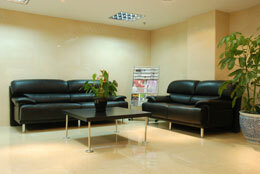 ♦ All necessary office furnishings and equipment. 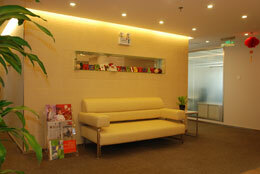 ♦ Free conference room usage monthly allowance. ♦ High speed internet access with in house IT support team. ♦ Professionally trained bi-lingual secretarial assistance. ♦ Mails, parcels and fax handling. ♦ Complimentary coffee and tea. Our business center offers four corporate meeting rooms suited for training sessions, seminars, mini conventions, focus groups, educational workshops and some other events from 5 to 30 people at least. Tea and coffee are complimentary and special food catering can be arranged upon request. Our highly talented, professionally trained staff will always be happy to be your assistance to ensure your company’s event a success.